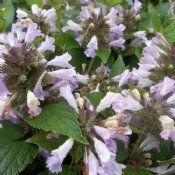 Nepeta plants (Catnip) are easy-to-grow, long-flowering perennials that are an invaluable source of nectar and pollen for honey bees, butterflies, and hummingbirds. They are commonly grown in rock gardens, border fronts, cottage gardens or herb gardens and containers. 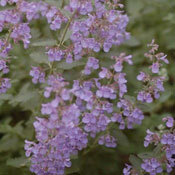 All of our Nepeta Plants for sale are shipped with very well-established root systems. We guarantee them to arrive alive and thriving.